That looks very good. Crust on the outside looks perfectly done. 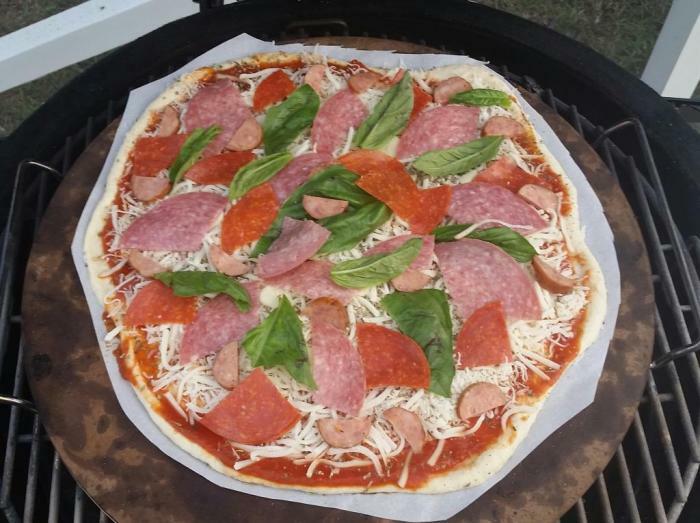 Second try at pizza tonight. 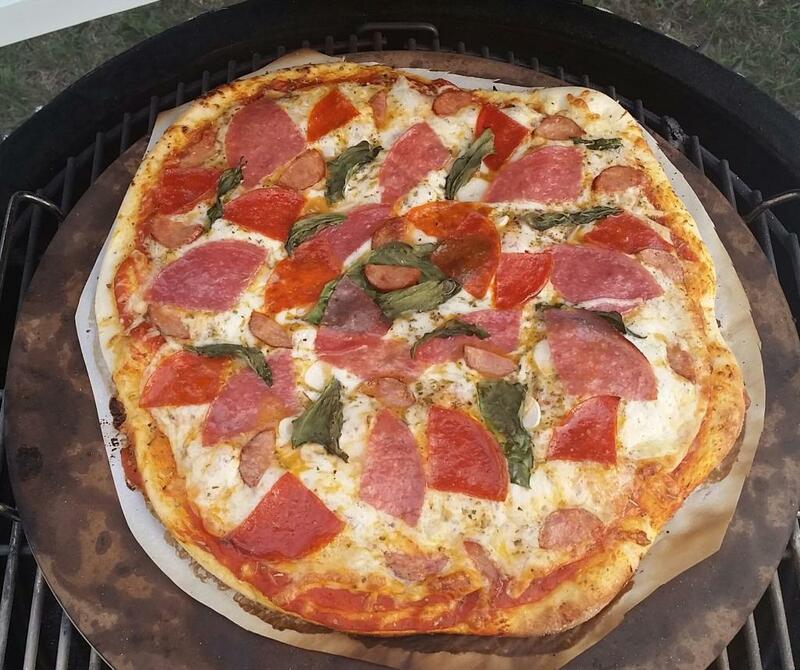 3 meat garlic and basil wood grilled pizza. We are loving the ability to do pizza on the grill! Very nice. You're rockin out the pizzas. This thread is full of creative ideas and awesome looking results. I appreciate you posting some pizza pictures this week. I did a pizza cook but my brain and camera was not cooperating so I don't have any pictures to post. Since the beginning of this thread I have formulated 4 different pizza dough recipes. For the next few weeks I'm going to revisit these pizzas before I post the doughs in the recipe section. Last night was Cracker crust. ckreef - I absolutely LOVE a very thin crust on a simply pizza. Something as nice as that pizza pie didn't last long, did it? Beautifully done! Kudos, my friend, Kudos! Looks great. Was that on the Blackstone? On the Blackstone set as low as possible but with a few seconds of blasting high heat right at the end. So both front dial on low and rear red dial on low? Or just front dial on low? That is the best crust i have seen yet. A beautiful brown mottling.